What is Medical Care Like Outside the U.S.? When you visit the ER or the doctor's office in the U.S., you pretty much know the routine. That routine isn't the same in other countries, however. From Argentina to Zimbabwe, people access health care in a variety of ways. In France, the federal government covers most medical bills for its citizens, with funding derived from income and payroll taxes. Expenses not covered by the government are paid by a patient's private insurance. If you're traveling in France, you'll find that medical care is superb and is available to everyone, so you shouldn't encounter many roadblocks if you fall ill or sustain an injury. While not free, the cost can be more affordable than if you received care in your home country, especially if you are a U.S. citizen. Swedish patients who must wait more than 90 days for planned operations or treatments are guaranteed that these costs will be covered by a county government. Americans visiting Sweden must pay for medical treatment at clinics, but inpatient care at public hospitals is free. In Germany, every resident is required to purchase health insurance from one of about 200 private nonprofit funds. As a visitor to Germany, you must pay out of pocket for medical treatment (or be covered by a travel medical insurance policy), but you'll receive some of the best care in the world. The National Health System of Italy, called the Servizio Sanitario Nazioanale, delivers inexpensive medical care to all European Union citizens- not just Italians. However, most Italians and expatriates prefer private healthcare over the public options. The private insurance allows you to choose your own doctor and avoid the long lines in the public hospitals. Another perk to private: many private hospitals in Italy are compared to five-star hotels when it comes to accommodations! Inpatient treatments that are covered include tests, medications, and visits to the family doctor. If you're visiting Italy, keep in mind that public hospitals operate emergency rooms while private hospitals do not. 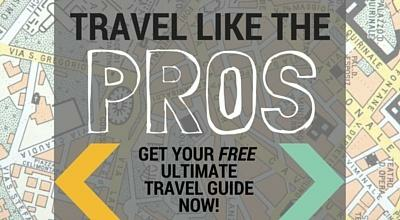 For information on travel warnings and international health coverage advice, click here! In Greece, anyone from any country can access emergency care free of charge at a public hospital. However, visitors should be aware that public hospitals in Greece are often overcrowded, and that treatment at private hospitals can be costly. It's recommended for travelers to Greece to have travel medical insurance to cover them in the event of a worst case scenario, such as an emergency flight home due to an accident. Each Taiwanese citizen carries a smart card containing his or her full medical history. A health care provider presented with the card can see every medical issue that has cropped up in that person's life. If you need medical treatment while traveling in Taiwan, you're likely to receive cheaper care than you would in the U.S. Also, most Taiwanese medical professionals are trained in Western countries and speak at least some English. Singapore boasts some of the best health care in all of Asia. The nation's health care system consists of eight public hospitals, and six specialty clinics. It is worth noting that U.S. prescriptions are not accepted in Singapore and that pharmacies require prescriptions written by local doctors. In Moscow, Russia, a pregnant woman must wait up to six weeks for an ultrasound scan, while outpatients at hospitals must now pay for the same blood tests and X-rays that were free just a year ago. Travelers should note that many hotels in Russia have their own doctors and that some hospitals offer Western-style medical care. Did you know that travelers to Russia may be asked to present proof of travel medical insurance? 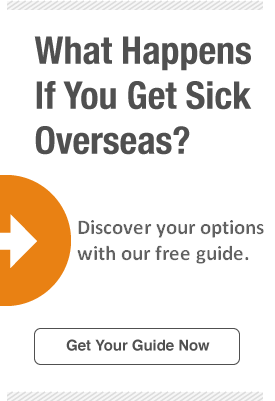 Find out what other countries require health insurance for travel visas! Residents of India pay about 70 percent of health care costs out of their own pockets. Whether you're a local or a tourist, India historically has been known for having high-quality doctors, but critics say that quality has diminished in recent years. Not surprisingly, private hospitals offer care that's far superior to care at public hospitals. By the end of 2015, China will have extended medical insurance for critical conditions to the country's nearly 1.4 billion residents. As a visitor to most major cities in China- especially those that cater to tourists- you'll have access to basic medical care, but the quality will vary from region to region. Keep in mind that most top-tier hotels offer treatment for minor injuries and illnesses. In 2014, the Indonesian government set up a national health insurance system with the goal of providing basic care to all citizens by 2019. Visitors can seek treatment for common ailments in major cities, but if you develop a serious condition, you'll likely need to leave Indonesia to obtain suitable care. Both national and local Japanese governments provide health care, and Japan keeps these costs in check by establishing flat rates for prescription drugs and medical procedures. If you're traveling in Japan, remember that many larger hotels have access to on-call medical services, while some might even have in-house doctors or clinics. Most major hospitals and clinics employ some staff who can speak at least limited English. As noted by The Telegraph, most doctors in Thailand are specialists, rather than generalists, so it can be difficult for citizens to find a family doctor. Furthermore, most doctors do not maintain just one office, but rotate among several locations. Some of the best-trained surgeons and medical specialists in the world work in Malaysia, where health care is considered high-quality and low-cost. Malaysia's public and private hospitals offer a wide array of medical services for travelers, but health care is generally better in urban areas than in remote regions. Residents of Israel may choose from four different health care plans: Maccabi, Meuhedet, Clalit, and Leumit. Each plan offers basic services, supplemental insurance, and long-term-care insurance. If you're visiting Israel and need routine medical attention for an illness, your hotel can arrange for a doctor to visit your room and prescribe any necessary medication. If you're staying with friends or family, ask them to direct you to a local clinic. For serious injuries or illnesses, Israel's hospitals provide Western-style treatment. Even with few economical resources due to the sanctions from the U.S., Cuba has longed been hailed for having one the best healthcare systems in the world. According to the New England Journal of Medicine, residents receive free medical care, with no copays or deductibles. Prevention is first priority in Cuba, with the highest vaccination rates in the world. The U.S. lifted travel restrictions to and from Cuba in 2014, but no matter where you’re from, if you’re traveling to Cuba, travel medical insurance is required. Brazilians have developed a community-based approach to universal health care, assigning Primary Care Teams to 150 households per geographical area. Healthcare services are free for legal citizens and travelers may find out that it's important to do research prior to traveling to Brazil, as it is common to encounter many doctors who do not speak English. If you plan to visit Rio De Janiero for the upcoming 2016 Olympics, be advised, public health care will not be available. You are strongly advised to purchase travel medical insurance. Nervous about Zika Virus? Here's everything you need to know.